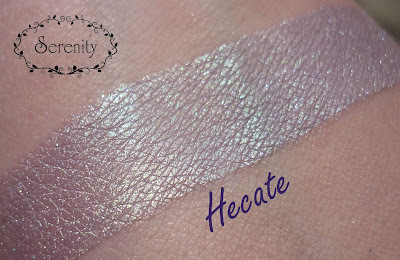 Hecate: "light lavender with a slight green duochrome"
Hands down my fave BRM shade. 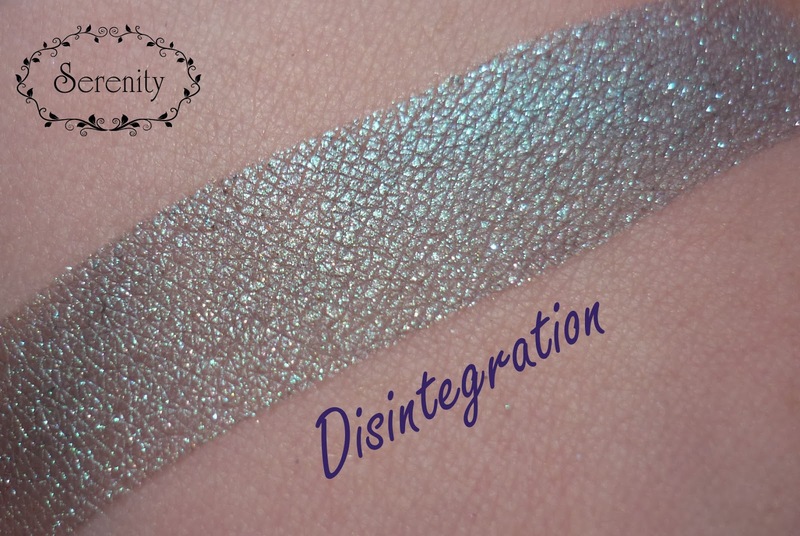 That duochrome... Application was super smooth on this one, and I luuurve it. Hemera: "A sheer, light bluish gray with a captiavating light violet shimmery duochrome"
Thirteen: Wear it dry for a mid-tone shimmery violet with slight blue highlights. Wear it wet for a deep violet hue with a metallic blue sheen. 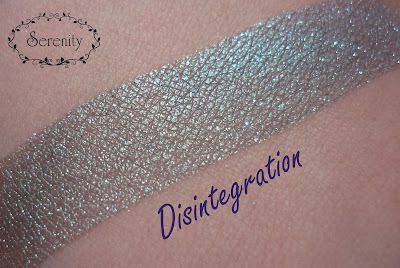 Disintegration: A grey base with blue undertones and aqua sparkles. 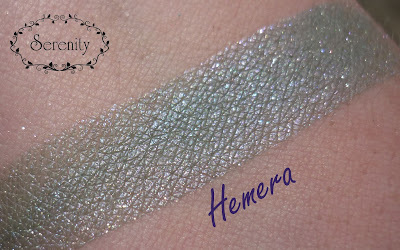 I received this one as part of my Mystery Pack and I was thrilled, its definitely a 'me' shade. It has the almost ghostly look to it that always appeals to me. 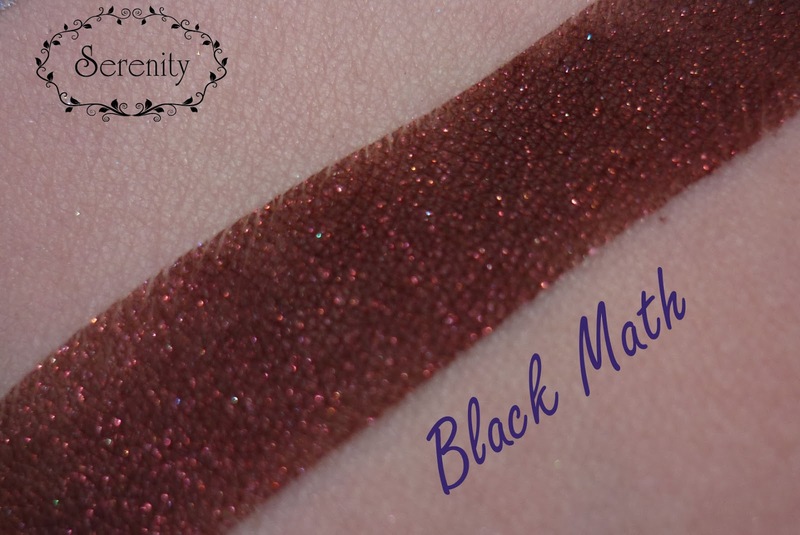 Black Math: This hue has supreme color coverage with a fantastic red shimmer. It can look brownish depending on skin tone. 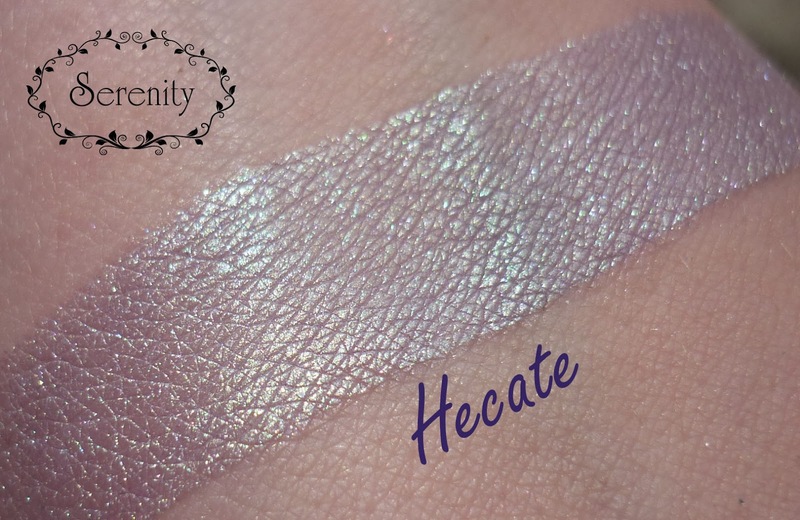 I wore this a lot when I received it, in fact I may need a full size.. it is incredibly pigmented and a little goes a long way. I am very impressed with Black Rose Minerals. I find that their shadows have a superb formula, application is always smooth, and I haven't had any problems with wear time. I am actually glad its taken me so long to review these, as I can quite honestly say that out of all of the indie brands I've now tried (thats a lot), BRM has one of the best formulas. 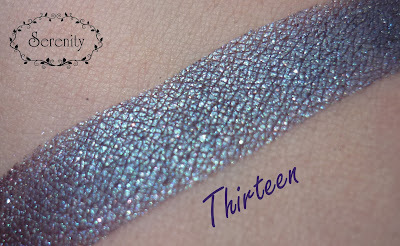 I am particularly fond of their duochrome shades - I will be trying to include as many as possible in my next order. 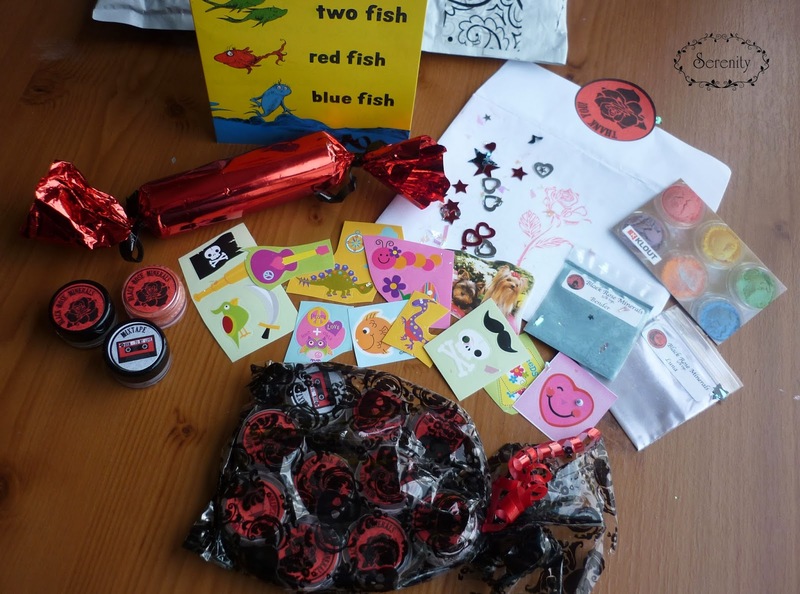 The branding is fantastic, the website is easy to navigate and their product range is HUGE. There are some fun collections listed including collections based on: Edgar Allan Poe (A Collection of the Perverse), Lord of the Rings (The Collection to Rule Them All), Bleach (Space Cowboy) and Adventure Time (The Righteous Collection). Why haven't I placed another order yet? I'm going to have to remedy this! Now is a fantastic time as BRM is running a sale for their 3rd birthday - 30% off using code 'THIRD', and they have also just released a new birthday collection. Black Rose Minerals have a website here, a Storenvy site here and you can follow them on Facebook here.